Home » Blog » Is your child active enough? That alarm bell you hear is from the American Heart Association, chiming in to warn Americans that their children are doing things that can damage their hearts over the course of their lives. The AHA said parents should work to set heart-healthy patterns for their kids from birth. But the nonprofit’s examination of survey data suggests not enough parents are doing so. Dietary surveys show a whopping 91 percent of American children have poor diets, according to the AHA statement. In fact, kids ages 2 to 19 get most of their daily calories from simple carbohydrates, such as sugary desserts and beverages. Further, U.S. children are not getting enough exercise. About half the boys and a third of the girls ages 6 to 11 get 60 minutes of exercise a day. The proportion drops as they grow older, until only 10 percent of boys and 5 percent of girls ages 16 to 19 get 60 minutes a day, the AHA reported. And about a third of the teens in the survey have tried cigarettes, with some smoking regularly. The combination of poor diets and insufficient exercise means many young people are overweight or obese. Smoking adds another risk factor for heart disease. The good news is that it’s never too late to address these issues. “Engaging in these ideal health behaviors early in life can have a tremendous benefit on maintaining ideal health throughout the lifespan,” said Julia Steinberger, M.D., lead author of the AHA statement. Many factors contribute to heart disease, obesity and stroke. Some factors, such as family histories, are beyond a person’s control. But the World Heart Federation identifies modifiable factors, such as diet and physical activity, as important contributors to heart health. You can read the American Heart Association’s statement, “Children score low on cardiovascular health measures,” in the AHA newsroom. You can delve into the data that led the AHA to deliver its statement by reading the U.S. Centers for Disease Control and Prevention’s National Health and Nutrition Examination Survey for 2007-2008. The World Heart Federation has a high-level primer on heart disease and stroke around the world. The CDC also produced a helpful page about childhood obesity, noting that the number of obese children and teens in the United States has tripled since 1980. How are you helping your kids maintain a healthy lifestyle, and more importantly, a healthy heart? Talk to your health care provider about setting healthy patterns for your kids. 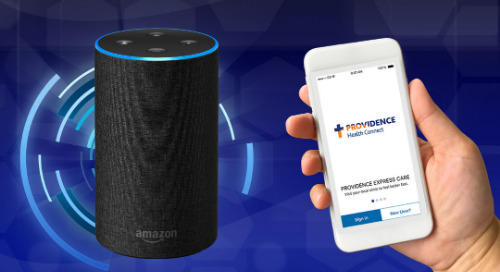 If you don’t have a provider, here’s a link to take you to a directory of Providence providers.